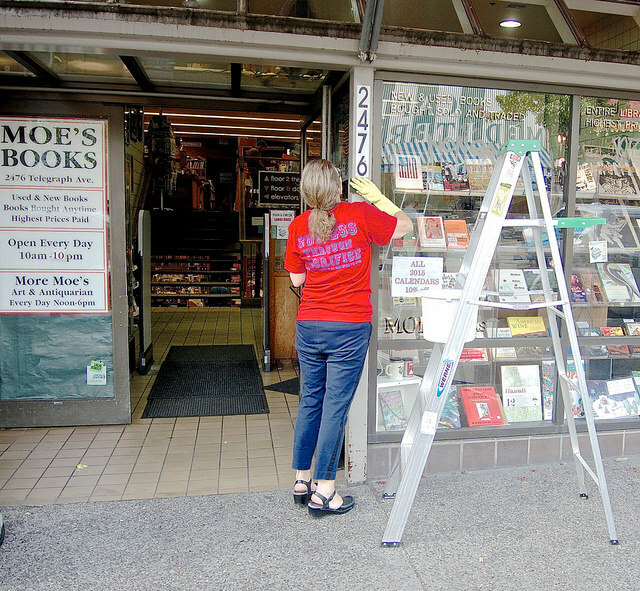 Doris Moskowitz cleans up Moe's after recent protests. Photo by Ted Friedman. Tienda Ho, formerly a few doors from Berkeley’s oldest espresso, was a classy womens’ clothes shop with a branch in Santa Barbara. “Our Berkeley customers were intimidated by the neighborhood,” a Ho owner told espresso, explaining Ho’s decision to close its Berkeley location on a block of Telegraph Ave. swollen with transients. The Ho Location recently opened as an artsy tea purveyor. Trouble followed, last week, when an unstable Telegraph habitué harassed a tea-shop customer and followed her to the Caffe Mediterraneum. 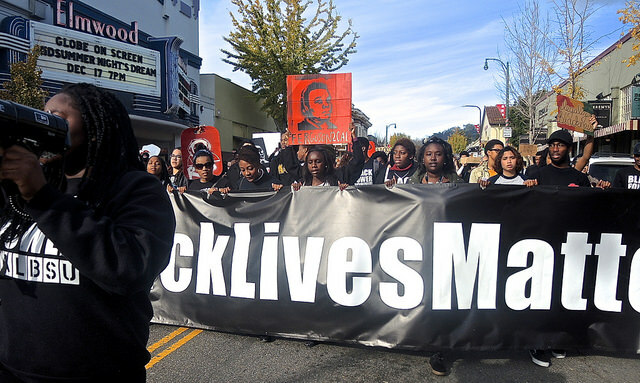 Day 7, Cal Berkeley Black students--historic march through the affluent Elmwood District. Photo by Ted Friedman. One week of protests do not a movement make. 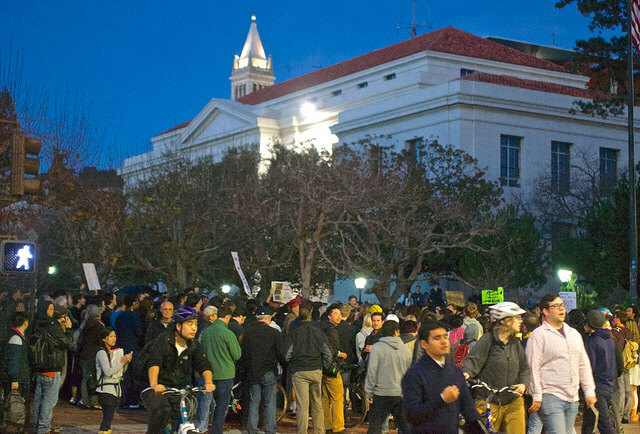 Unless this week’s protests have DNA from the long-running occupy movement of 2012–which first roused long-silent Cal Berkeley students to renewed activism. This reporter has logged at least 30 miles walking with protestors as a photo-journalist. Moni Law, a Berkeley activist/attorney, spoke at the start of the first night of a three-night [Update: four night] protest against questionable police tactics exonerated by grand juries.